Artisan's philosophy is to provide solutions built on best of breed infrastructure solutions. You need only look to our core VoIP network and the choice of Broadsoft as our partner, or the decision to use Dell servers throughout our data centers to confirm our decisions. Artisan believes this decision relates to ALL facets of a solution, not just the core of the network. 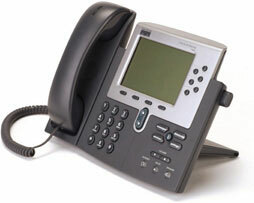 This has lead Artisan to use the world's leading IP phone for all of our voice services. The Cisco IP phone family has the largest imbedded based of IP phones in the world. This wasn't by accident. While some providers accept phones of lesser cost and quality, Artisan believes all customers deserve the best phone in the world. We're so insistent on best of breed components that we include your Cisco phone with the service.